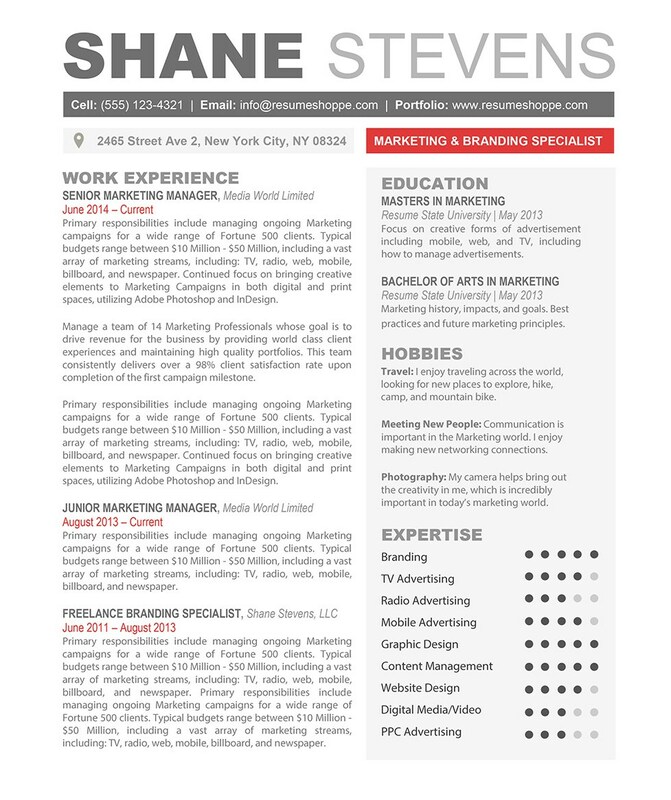 The Shane Cover Letter has it all: a creative resume design, practical and professional layout, and very simple editing. 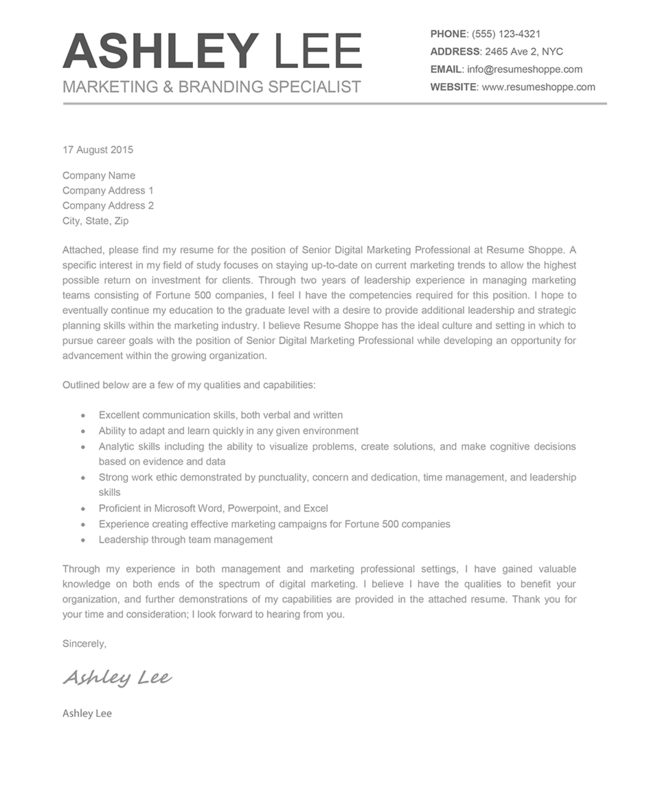 This creative cover letter template can be used for a wide variety of careers such as Marketing, Design, Business, or IT. 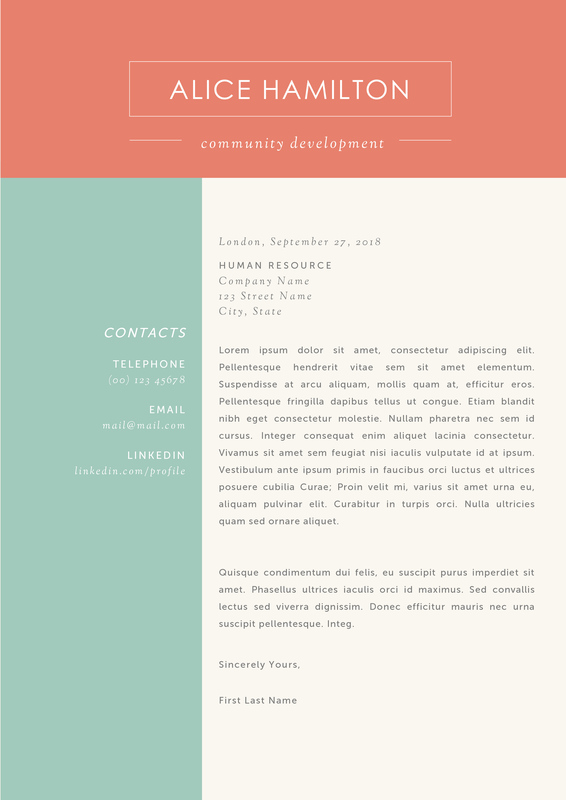 Even non-creative jobs can benefit from a modern cover letter as it highlights your creativity, which is a sought-after trait that employers look for. 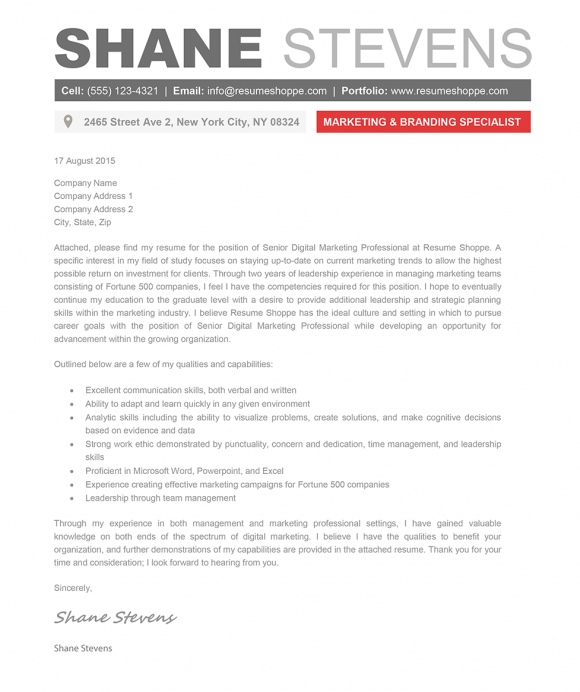 The Shane Cover Letter uses clean and simple design principles with subtle splashes of color to create a truly perfect resume template. The layout separates your information and expertise in clear sections for recruiters to easily pin-point your desired skill set.